Residential options nowadays are not anymore confined to sprawling houses with big lawns and backyards. Prices of parcels of land, with or without housing structures, are also on an uptrend making it a budgetary concern among would-be home owners. The shrinking land availability as opposed to the rising population has spurred the upward movement of housing projects. Condominium developments have sprouted around major cities in the country to address the residential needs of most people. Which of these two residential options are right for you? There are several pros and cons to owning either a single-detached house or a condominium unit. 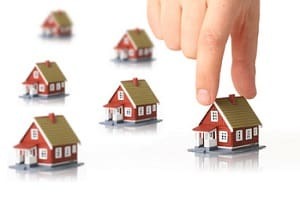 Anyone who is looking for a place to live should carefully consider these advantages and disadvantages vis-a-vis his own circumstances and future family goals. Current and future needs should play an important role in determining whether a single house or a condominium unit would be the right option. Houses, of course, are more spacious and private. Within the boundaries of your property, you can more or less do whatever you want. One can start out with a basic house with the standard living spaces as bedroom, living room, kitchen, dining room, bathroom, and maybe even a den or a small home office. And then later on, as need requires and as budget permits, one can decide to build extensions or additions like a workshop or an out-house. External and internal repairs can also be done anytime. If you want to repaint your external walls, you can do so whenever you want. If you think Mr. Frostee can cheer up your lawn, you can very well set him up in the walk leading to your doorstep. If you think a hedge would provide the much needed shade for the sunward side of your home, then by all means you can plant a hedge. You pretty much have the sole decision (your spouse might want to be in on this, though) in whatever improvements you want to do to your property. Condominium units are also private but less spacious. Your privacy is limited to your own unit, though. You share the use of spaces like hallways, stairs, lifts, driveway, and entrance lobby with other unit owners. These units are often fixed in size and configuration. There is no provision for future extensions or additions to the unit. Although, there are some condominiums that are sold while in construction wherein a buyer can choose to get two adjoining units. Since the condominium is still in the building stage, the buyer can request the contractor to combine the two units into one single unit. The owner of the condominium unit has rights to whatever is inside his unit. It is common to have a governing body that enforces the rules and regulations of condominium ownership and residency. The condominium’s association or board is responsible for collecting dues from condominium owners to cover for maintenance and improvements of shared areas. Condominiums often have the standard amenities for family leisure and enjoyment. Facilities that are not commonly found in single homes like swimming pools, spas, and other recreational equipment are often available in condominium buildings without additional costs charged for usage. Whether it is a condominium unit or a single home that you choose to buy, what matters most is how the home fits into your family’s lifestyle and way of living. Budget considerations as well as proximity and security concerns should also be part of the decision-making process.